Farming Mountain Silversage is pretty profitable, considering Mountain Silversage is worth as much as 100 gold per stack. Be careful on some realms there is so much Silversage on the auction house already that you won’t be able to sell any. It sells best in stacks of 5, 10 and 20 but might take awhile to sell. It’s still used by alchemists, scribes and in a few novel elixirs and potions. If you’re farming it for yourself, or to sell, you’ll need level 280 Herbalism and an epic mount is always a huge help. 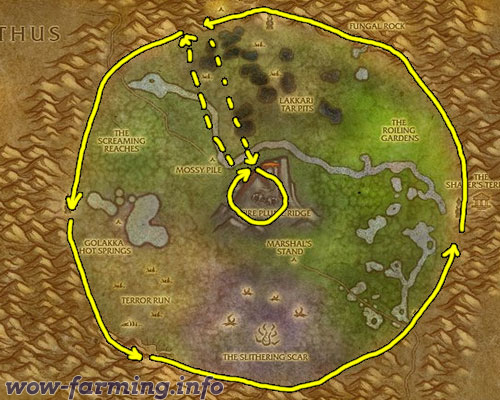 You will also want to be level 56-57 before you head to any of the below zones to farm this herb. Update: You can make a lot of gold with Mountain Silversage, but if you want to step it up and make thousands of gold you should read my personal favorite guide. 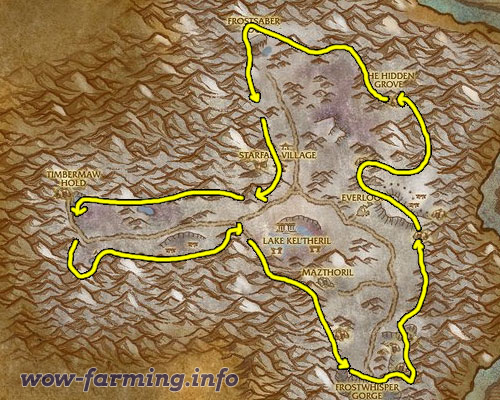 The best place to farm Mountain Silversage is in Winterspring. It has the most nodes by far. Simply circle the outer edge of the zone along the mountains. You should be able to find a lot of this with or without an epic flying mount, although a fast ground mount is a must. An old favorite for farming Mountain Silversage is Un’Goro. You can circle the edges of the zone picking up MSS here and there. As a warning: this zone is huge and you might go half way around it without finding any MSS. Good luck. Many players also prefer to go to Hellfire Peninsula to gather MSS. The reason is because there is also Felweed, Dreaming Glory and Golden Samsan here. You can get a good variety of valuable herbs here. ← WoW Only Loses 100,000 Subscribers? !